Sleep: Pretty good other then my crazy dreams! One of my recent ones was of my best friend having her baby a month early, and I found out about it on Facebook! I've also had a ton of dreams where I'm either taking care of my baby or someone else's baby, and I forget about it. So stressful! Movement: Yep, she's kicking away and slowly starting to get stronger. Though, the kicks still aren't quite consistent. Does anybody know when you're supposed to start counting them? Unglamorous body changes: No cankles this week! But now I'm having a hip problem. My right hip feels like it's coming out of the socket. I think I've figured out part of the reason why it got so bad this week. I sleep with a body pillow in between my legs but my ankles/feet hang off the end. Since my legs weren't parallel I think it was throwing my hip out of whack. The last few nights I've made sure my legs are completely parallel to each other on the pillow and that has made such a difference! I feel like I can also tell that my hips are starting to spread out too. Like I can literally feel them moving! Hopefully I don't start waddling already. Showing: I guess I've hit the point where people know I'm pregnant now especially if I'm wearing something form fitting. I've had a few strangers hint towards my pregnancy, and I had no idea what they were talking about until my husband had to clue me in. I'm still not use to this! Side note to this: I told Ryan that she could hear things around me now. So he decides we need to be playing her more music. I started cracking up because the first song he decides to play her was by Karmin! That's my man and I love him for it! Best moment this week: She now has a chance at surviving outside of the womb with major medical intervention!! Praying that will not happen but we've definitely come to a milestone. Also, starting to buy furniture for the nursery! We ordered the crib and rocker this past weekend. And we purchased her awesome stroller that I'm so excited about. Our ideas about the nursery are finally starting to come together, and we've even picked out the paint color. Looking forward to: So much! Third trimester, actually seeing my belly move, getting the nursery together and finally picking out her name. Love the stroller and you look adorable! 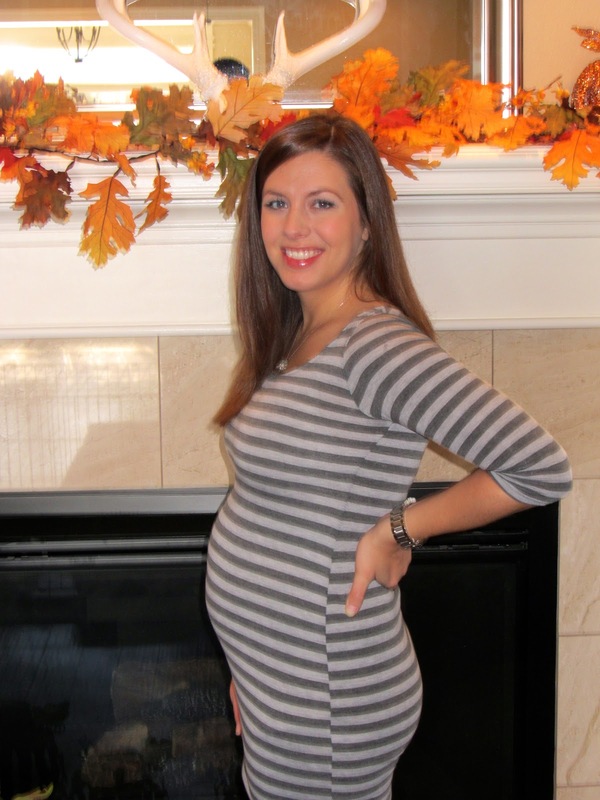 For counting kicks, 28 weeks is what the hospital said. Our OB said 30 weeks. You look sooooo cute! This is one of my favorite bump pics. 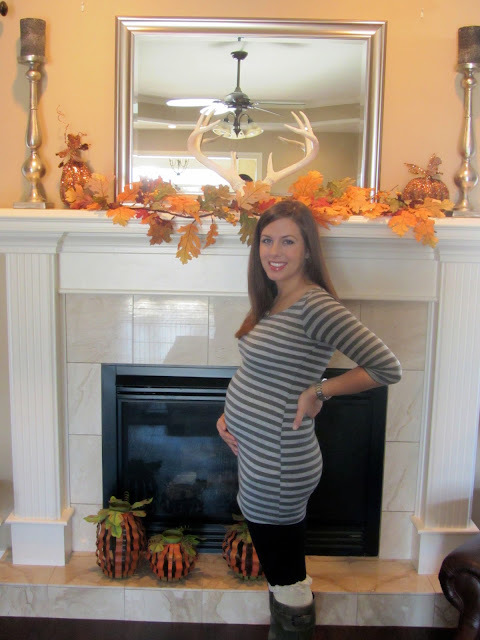 I love form fitting during pregnancy! It honestly makes you look smaller! And you look so cute! And YES, can I come to Oklahoma with the girls while Q is away and just veg with you? Oh wait, no one veg's til the babes are asleep! heh! Love the stroller!